CRM-Map connects to both MYOB cloud-based products, such as AccountRight and Essentials, or local-based such as Premier. CRM-Map turns your data into a powerful organizational CRM. In order to set up the connection between MYOB and CRM-Map, you will need to consider what information you wish to display on your map. These could be customer cards, supplier card, sales, purchases. If you are using a cloud based MYOB product, you will use the MYOB Application – ODBC WriteNow to link your data to CRM-Map. 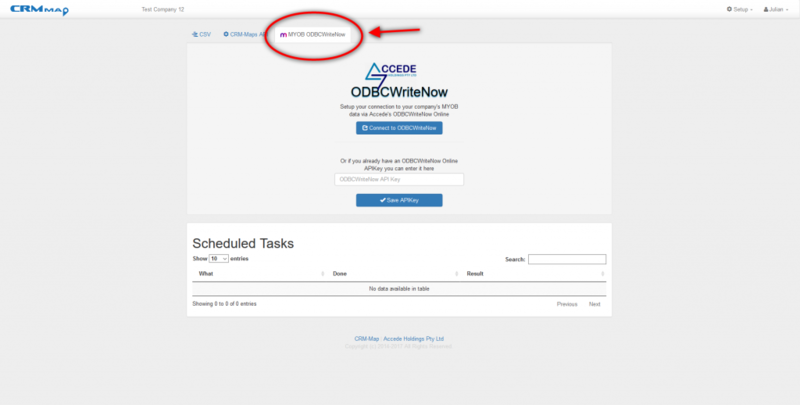 ODBC WriteNow, is part of the Accede Product suite. If you are using Premier, or another local based MYOB Product. You will need to Export the data you wish to import into CRM-Map, as a CSV. Use our CSV import Video for more instructions. Upload or link your MYOB Customer Cards to Contacts in CRM-Map. Link your MYOB Sales into CRM-Map as Transactions. If you have only a few MYOB products, link these to Categories. Assign each product an icon. Link your invoice type (Quote, Invoice, Paid) as a status and assign each a colour. View our MYOB Customer Example Video. Once you have your MYOB Customers entered, you can then add new invoices, edit invoices, take photos and attach these to your invoices. You can also use CRM-Map to follow up on invoice. CRM-Map and MYOB can also map and manage your jobs. Your product sales and your suppliers. 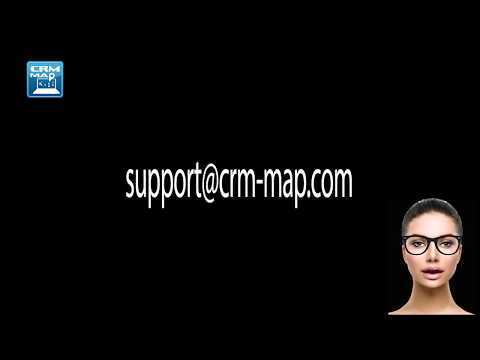 CRM-Map can be used in so many ways within your business. If your scenario is particularly complex please contact us and we will help you set up.